The financial system needs complexity theory to predict economic crises like the 2008 meltdown. An international team of scientists, including Leiden physicist Diego Garlaschelli, state this in a paper published in Science on February 19th. Traditional economic theory has proven to fail in explaining, let alone predicting the 2008 financial crisis. Garlaschelli and his colleagues argue that complex models used to study ecological systems and the spread of diseases are indispensable for a stable banking system. Most crises are not caused by sudden events, but by slow dormant processes. With complexity theory, scientists could identify these and use them to predict and prevent economic collapses. Earlier research from Garlaschelli, in collaboration with De Nederlandsche Bank, shows that the 2008 crisis came as a surprise to traditional models, but a more realistic model accounting for different bank sizes could have predicted it three years in advance. 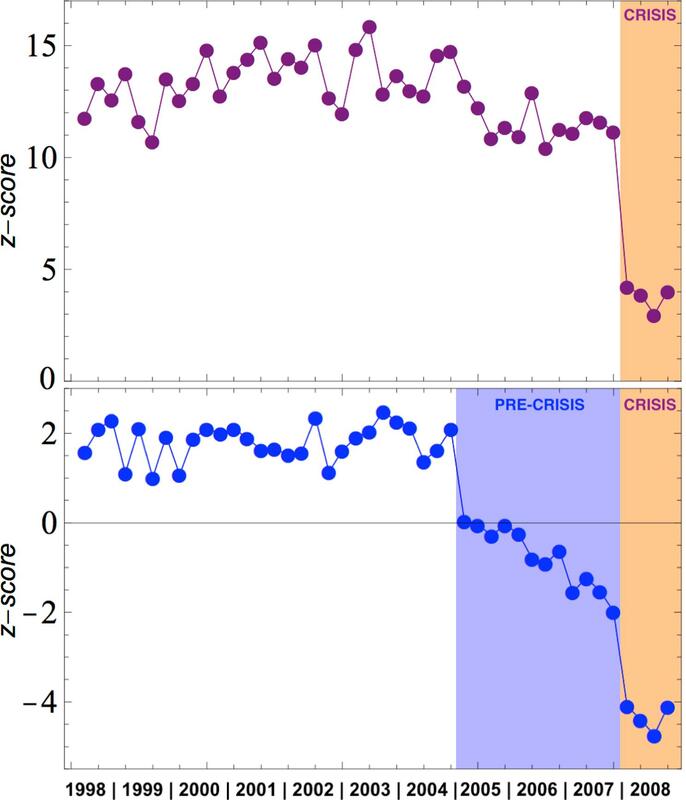 The authors conclude that funding required for a warning system based on complexity theory stands in no comparison to the cost of an economic crash. Complexity theory and financial regulation, S. Battiston, J.D. Farmer, A. Flache, D. Garlaschelli, A.G. Haldane, H. Heesterbeek, C. Hommes, C. Jaeger, R. May, M. Scheffer, Science.